So today I am sharing with you my book recommendations for 2018. There’s variety here. From memoirs to bible studies and devotionals, these books will bless, encourage, and lift you up as you walk through everyday life. And … as I always love to do, I’ll be giving away a copy of each title. But as a BUNDLE this time! I can honestly say Suzanne Eller has long been one of my favorite authors. Years ago, as I read her very first books, God used them to break through places that held me back and kept me stuck. When I began writing and then blogging, I never dreamed I’d actually get to meet Suzie. Much less come alongside her to help share the messages of hope that lay within the words of her books. I never dreamed God would give me a message I’d get to share in that sacred space of her blog. It was a God thing for sure. As Suzie keeps writing, she keeps impacting my world. And if you dive into one of her books, she will impact your world, too. This year she released The Spirit-Led Heart. It is definitely one of my book recommendations. Suzie’s writing style is very conversational. It’s safe. She presents as a friend you can trust – one who shares God’s Word with honesty yet gentleness. Near the beginning of The Spirit-Led Heart, Suzie gives us the Spirit-led Heart Manifesto. Get your copy HERE on Amazon and find more information along with beautiful printables on Suzie’s site HERE! Pam is a retired Licensed Professional Supervising Clinical Counselor who I have gotten to know through her work on her blog. This story is Becky’s – and Pam was once her counselor. Together Becky walked out of a pit as the enemy raged at the freedom she found. He didn’t want her to use her story for good. And he didn’t want her to save hundreds of lives because of the pit he had once placed her in. From a painful childhood, to a broken life of men, drugs, abuse, and pain, Becky found healing in Christ. I was humbled by not only her transparency, but by the willingness of her children to reveal the darkest places of their lives so that they could share God’s hope. This family’s story is a powerful recount of God’s redemption. You can learn more about the book and buy it on Pam’s site HERE. Leah Whitton shared daily special moments with her grandfather in a coffee shop talking about life and Jesus. Those moments planted a seed that would flourish as Leah grew and chose to follow Jesus. 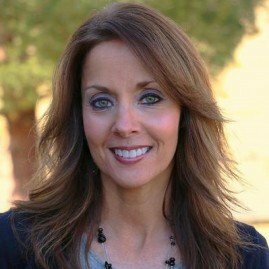 Today she is a pastor’s wife, speaker, and author. 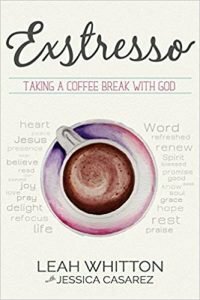 This devotion-style Bible study is for the busy woman who loves her morning cup of coffee and her Jesus, but often struggles to find the time. Leah uses what she calls the STIR Method for each of her lessons. Each lesson is creatively written around the theme of coffee and touches on all the situations we deal with in our everyday lives. And each one takes only about 15 minutes to complete! We can all find 15 minutes – even the busiest of us! When we give Jesus our time, I promise, He multiplies it. I don’t claim to know how it happens, but I’m living proof of it! You can purchase Exstresso HERE on my Amazon storefront. Within the first few weeks of being a mom, I began learning how important it is to parent the unique child I’d been given. There were so many books telling me to do it this way or that way. There were the latest fades and theories that led me down one path and then another. I wish I could say I figured it out a little sooner and didn’t create so much heartache for myself. Honestly, I think we are all a work in progress toward peeling away the layers of what leads our heart. But parenting the way God wants us to parent – loving the way God wants us to love – is what really matters. And it cuts out all the extra stuff that often makes us overwhelmed mamas. 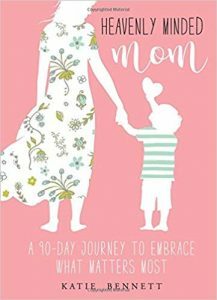 Katie’s book, Heavenly Minded Mom, reminds me of that. She wants us to get to the heart of what matters most. This 90-day devotional style Bible study brings us back to the heart of God and His desires for us. Each lesson only takes 10-15 minutes, but is packed with meaningful content. At the end is a Scripture to reflect upon and journal questions. Plus, Katie has a journal you can purchase separately! This is one of my book recommendations because this world is a crazy busy place with far too many things distracting us. As mamas, we need help staying focused on what is most important, and help cutting out the extras. You can get your copy HERE on my Amazon Storefront and find out more about Katie, her ministry, and her book HERE! I received a free copy of each of these books for my honest review. However, the books for the giveaway bundle are purchased and gifted by myself. I’d Love to Have You Join Me in Launching My New Book! Y’all, it has been a big crazy God-story to get this book finished. 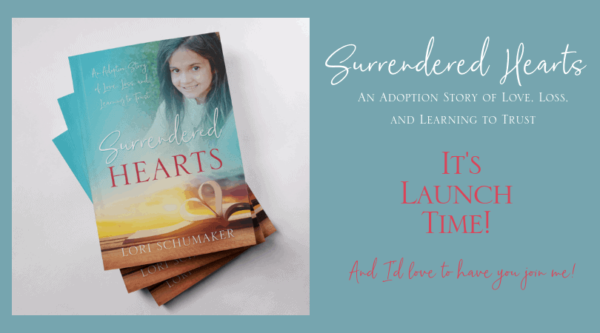 Just like our whole adoption story, He has shown me again that everything happens in His perfect timing and only when I’ve surrendered my vision to embrace His. I’m thrilled to be sharing Selah’s story and to have the opportunity to advocate for adoption and orphan care. November is National Adoption Month, so I pray this book will be used in mighty ways by the God who loves us beyond measure. Would you like to win this bundle of my book recommendations? All you have to do is enter the Rafflecopter below. It starts Thursday, October 4th and goes through the evening of Wednesday October 10th. Notice that you can enter multiple times. So come back each day! Did you know that when you subscribe to receiving our occasional updates and inspiration, you get full access to the resource-filled Library of Hope? 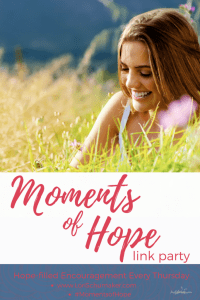 It’s full of things like my popular When People Hurt You Journal and Growth Guide and my printable 17 Great Bible Verses That Will Give You Hope. (Not to mention a big selection of prayers, checklists, and cards!) And all of it is free and will help you as you navigate through the challenges of life. 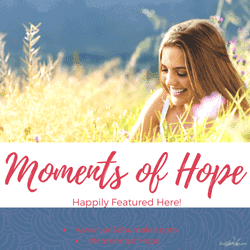 Before I go, please try to visit Karen and leave some #MomentsofHope comment and sharing love! Karen, please feel free to grab the Happily Featured Here button below or here! Want a list of other link-ups? These are the places I hang out! First, share up to 2 blog post URLs resonating with the HOPE of Christ. The little things and the big that inspire us to lean into Jesus and let Him carry us through. #MomentsofHope is a place to give and get hope, so let’s encourage others in their efforts to share the hope of Jesus. Please don’t link and run! Instead, take a moment to encourage another! Please grab the #MomentsofHope button found HERE, or link back to me. Praying that in this space, Jesus will speak to you and give you His hope. The kind of hope that takes you through any storm and lands you on the other side. The side of victory! 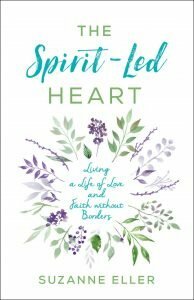 I think the Spirit Led Heart might be next on my reading list! “A woman with a Spirit led heart… doesn’t have time to be distracted by drama with no eternal value”. So good! I think I’ll turn this into a screen saver on my phone as a constant reminder. Several of these are new to me as well, Lori, but I must say I DID enjoy Pam’s and Becky’s collaboration. The Spirit-led Heart Manifesto is a great list of reminders. Thanks for highlighting books I have not heard about. These look like great books, and congratulations on your own book coming out soon! How exciting!! I love Suzie’s new book! I am always looking for amazing books to read now that I have finally returned to the world of reading over the past month or so. Thanks for this list – gives me a good spring board moving forward. Thank you for the reviews too! ♥ ♥ ♥ You will love them, Karrilee!